Wow – a beautifully written book. In Old Willow Cemetery in Concord, Massachusetts, you’ll find a statue said to weep tears. Behind the locked gate lives the caretaker of the graveyard , the elderly and reclusive Elias Hatch. His nearest neighbours are a young couple, Adam and Antonia, with two children. When their youngest child, Henry, goes missing, the spotlight shines down upon Elias. What exactly is he up to in his cottage? What secrets does he hold tight? Voices from the past whisper softly through Old Willow Cemetery, ghostly echoes that will raise the hair on your arms and make you wonder what life can happen after death. The Dazzling Darkness showcases some of the most beautiful prose I’ve had the pleasure of reading in a long while. “The rain surrendered, leaving fog to rest domed and drowsy on the trees. Arched hemlocks hung with wet cobwebs. Vapors drifted in.” It’s extremely well-written and engaging. Watching the family trying to cope when their child goes missing is heartbreaking. Antonia and Adam hear their son chuckling from the willow tree, but they can’t find him. He calls from his bedroom but his room is empty when they check. An eerie stillness hovers around the house and cemetery nearby. The action picks up when the detective, Mike Balducci, gets on the case. Soon he’s ordering graves exhumed, crystal skulls examined, enlisting the help of professors and scientists. We’ve got history, archaeology, ancient curses, science, transcendentalists and the supernatural all nicely mixed in together. There’s a definite hint of Dan Brown at times – old secrets weaved into modern life, an air of the magical. I’d have preferred the last few chapters to stick with Balducci and his investigation into the crystal skull rather than going full force into the supernatural. The step by step investigation (again making me think of Robert Langdon off on a quest from the Dan Brown novels) was intriguing and I’d have liked more of it before the conclusion. The flirtatiousness between the detective and Dr. Phillippa Anna was a fun breather from the seriousness of the rest of the story. Check it out on Goodreads & Amazon. Buffy fan, avid reader, writer. This entry was posted in Book Reviews and tagged books like dan brown, haunting stories, old willow cemetery, paula cappa, the dazzling darkness, transcendentalist. Bookmark the permalink. Just added to my TBR pile! Sounds like a great read. Sounds like a great one, Emma! I think I’d really like it. If you get around to reading it, come back and let us know. It’s nice to see you liked this too. It is beautifully written and had a lot going on. I liked following the detective. He reminded me of Columbo. Very misleading on the surface but with a very deductive mind. I loved your review. It spurned me on to hurry up and get reading it. Dan Brown adventure fun with the detective but also quite harrowing at times when the spotlight was on the family. Sounds like my kinda read (looks at TBR pile and groans). I know. I’d have to live another hundred years, at least, to finish all the books I want to read. There’s definitely a lot going on in this one from your review. I like books that straddle multiple genres. It sounds like my kind of read! Lots of genres: adventure, thriller, horror, supernatural..
You have most DEFINITELY piqued my interest. It’s now on my Amazon Wish List. You most definitely have! Great review, Emma. 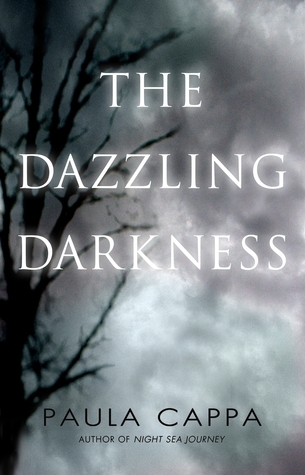 Thank you all for your interest in The Dazzling Darkness. I was so happy with Emma’s review here and grateful that she agreed to read my work. Emma, your award-winning blog is so inspiring! Thanks for the great read, Paula.